The best variety of gummi grizzlies: which one do you like best? Lime, currant, pineapple, lemon, raspberry or orange? Can't decide? Try them all! Glucose syrup, sugar, gelatine, acidulants: malic acid, flavourings, colouring foods (tumeric), colour: E 133, E 100, E 120, E 151, palm kernel oil, glazing agent: bees wax white and yellow, carnauba wax. Tamed grizzly: strong taste, mild manners! Usually, it is like this: only one type of those harmless little gummies is everybody's favourite. Sometimes, it is the red one, sometimes the yellow one - whichever it is, its fate is to be eaten first. Those grizzlies here are different: they all taste fantastic! We can`t decide which one we prefer. So, we munch them all down. It is not only the colours people prefer, but the taste. Of course! You have to make your own choice: is it lime, currant, pineapple, lemon, raspberry or orange you prefer? By the way, you can easily combine different flavours: just eat two of your choice. 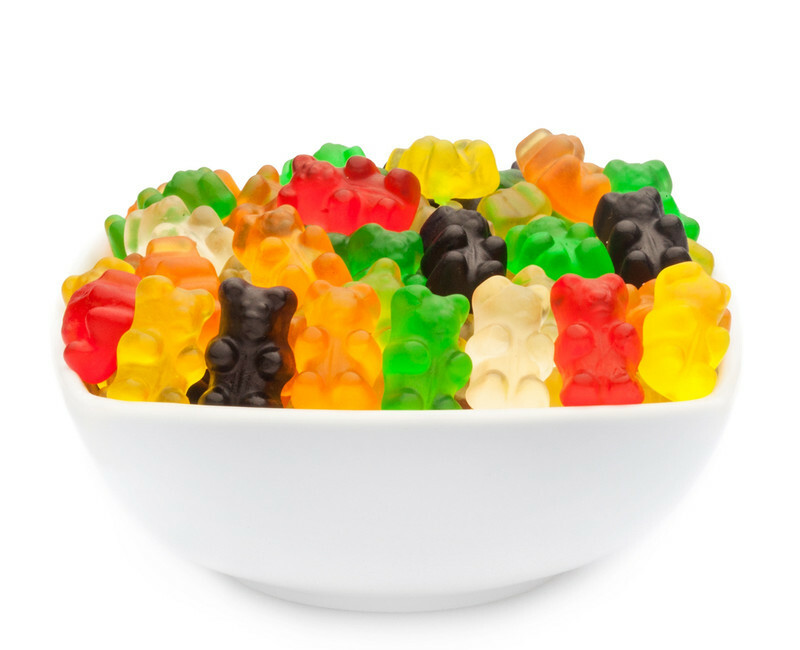 Fruity & juicy gummy grizzlies: chear up! Whenever we are in trouble of some kind, we are easily cheered up again. The colours of those grizzlies are just too bright, the shape of those grizzlies is just too cute and the taste of them is just to adorable to feel anything but joy.